Unfortunately due to certain things happening outside of games, I don't have the time to try and set the guild up ATM. I will be transfering the guild leadership to Perryy should he wish. Atm im working 14 days stright, most days are 10 hour shifts and then I'm going to visit Tinxie for 3 days. so I wont be online for a while. I also had to cancel my subscription for certain reasons. Grandma knows about this. Hey Blanners, congrats on getting through your trial. I'll be honest and say that the only thing ATM you would be taking on is a guild name and no need to sign a charter. I'm more than happy to give the project over to yourself if Gran is ok with that?! Unfortunatley when I was unable to keep up the project my firends wernt prepared to stay with the guild. If Gran says its OK and your up for it, Im happy to make you the guild leader at some point. TBH, if anyone is willing to take it on, go for it. There's currently 2-3 people I can see in it at the moment, if it is to succeed as an extra arm of the community then far more time and effort needs to be put into it. Whoever is prepared to do that in line with the clan goals and directives deserves the position through the work they do to make it successful. It has great potential...for someonw with time. I've started a new job and am not playing WoW anymore. If someone is going to take this on I need to know before my friends sub runs out to hand the guild over. After that time you'll need to find a new server to form the guidld on as he is moving to RIFT. i run a guild on the Vek nilash alliance server, i would love to have you guys over 130 members strong. ResidentDeagle wrote: i run a guild on the Vek nilash alliance server, i would love to have you guys over 130 members strong. Do you mean your guild has over 130 members or that you want INC to join in with your guild? Hey, I see its been almost a whole year since someone last posted in this thread, so I will make a quick query - how is the INC WoW guild going and where is it stationed? With my 7 years in the WoW I have some experience, and will happily move my 85's over should they be needed. Fear is not real, it is a product of the thoughts you create! It's pretty much non-existent Luna. 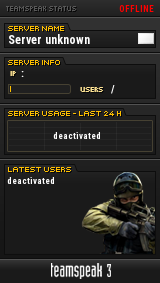 There was never really any interest from many here to play the game at all or for those few who did to transfer to a common server. There was also no-one who was really willing or able to take on the leadership of the guild there - so it was never really integrated into INC at all.